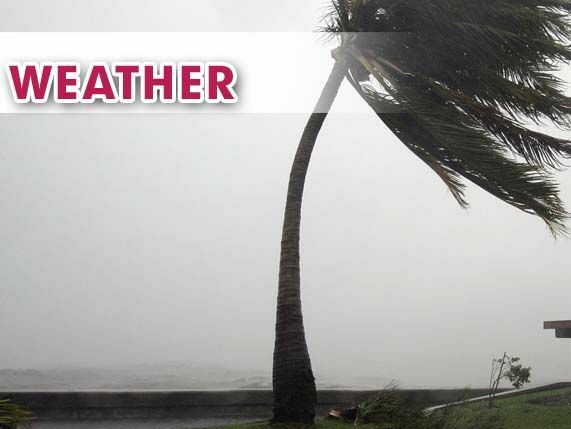 The National Weather Service in Brownsville has issued a coastal flood advisory and high surf advisory for coastal Cameron and Willacy counties beginning early this morning. The NWS reports the difference between strong high pressure over the mid-Atlantic states and broad low pressure in the southern Gulf of Mexico continues to increase waves and swell across the Gulf. This pattern, combined with tides already running 1 to 1.5 feet above predicted levels, will continue to push water onto the beach, and it was likely to reach the dunes by Tuesday night. Water levels are expected to continue to rise through Thursday and flood the beach 1 to 2 feet, especially at high tide today through Thursday afternoon. The NWS reports life-threatening rip currents and surf waves of 6 to 9 feet are to continue through Thursday. A high rip current advisory will continue through Thursday evening, and the coastal flood advisory will continue through 7 p.m. Thursday. A high surf advisory will be in effect from 7 a.m. today to 7 p.m. Thursday.